Given the diversity of soil types (sand, silt, clay) and climates (from 0 to 700 m above sea level, from 700 to 1400 mm of rainfall), many species have adapted to our country. The total growing stock amounts to 140 million m³, the increment is 6.5 m3/ha/year, and the annual cutting is 4 million m³. Thus, the wood removed is slightly less than its biological production. It is worth noting that there has been an increase in fuelwood produced in Belgium. Of the rich wildlife living in the forests of Belgium, only the roe deer is found throughout the whole country. 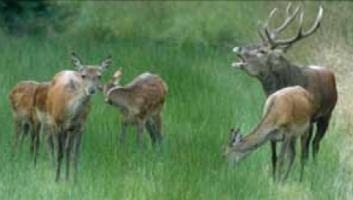 Stag and wild boars are only found in the south of the country, where sheep and fallow deer can also be found. These populations have been increasing sharply over the past few years. The roe deer and stag populations have doubled in 30 years, while the wild boar population has tripled! This abundance of wildlife can cause damage to the forest (by stags) and to farmland (by wild boars) in some places.